Took this in July on our summer road trip. 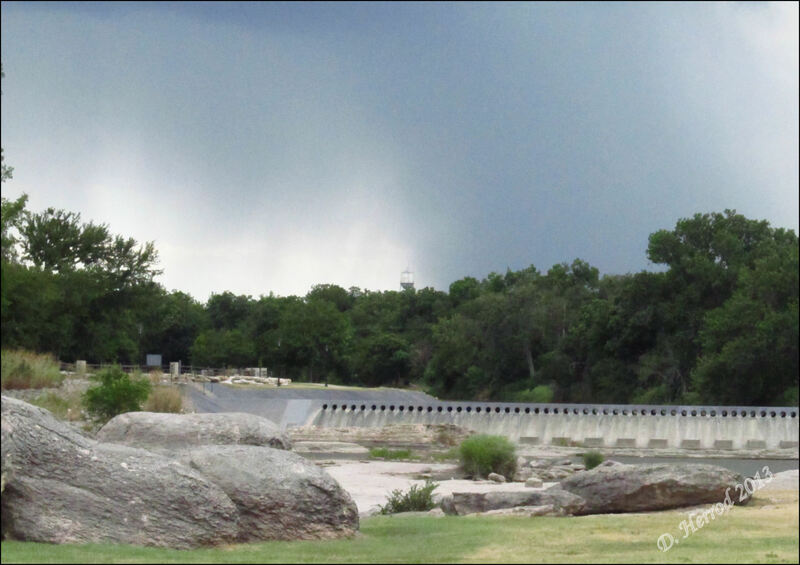 Big Rocks Park is located along the Paluxy River in Glen Rose, Texas. The river was down quite a bit. A much needed rain storm, was looming in the background. The sky is indeed dramatic! A little shower on the horizon can be a very welcome sight. Nicely captured image. Thanks for stopping by Driller’s Place. Come again anytime. Hope it did rain. Awesome shot! Thanks for the visit! Happy SWF!! I like dramatic stormy skies like these as long as I don’t have to drive very far. Had about an 1 and 1/2 drive. Wow, that’s a lot of power in one photo – great shot!